Situated in Koreatown’s Chapman Market, Snow Monster is a highly Instagrammable dessert spot. Pass the “eat dessert, be a monster” sign and get in line. 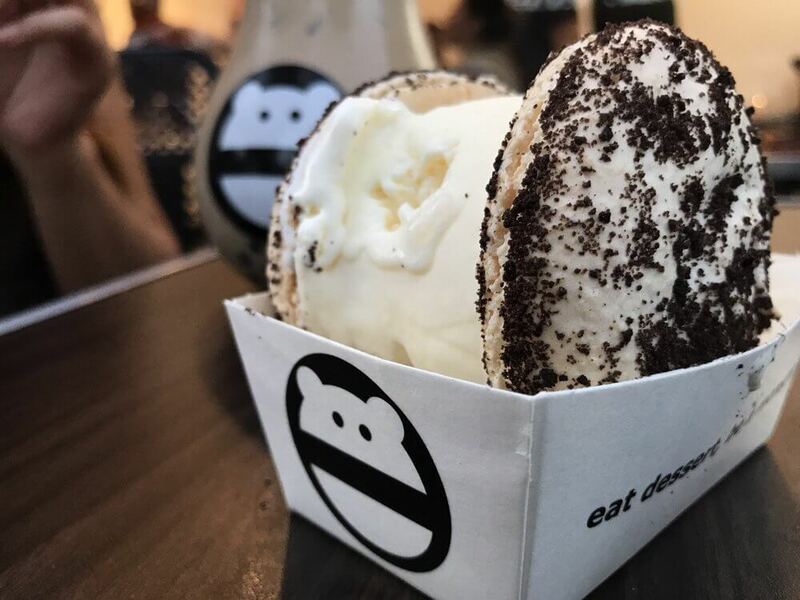 With cold drinks like honey milk tea and Thai ice tea offering options to wrap cotton candy around your drink, go for the ice cream sandwich. Featuring selections like the fruity pebbles macaron or the churro macaron, pick ice cream flavors like browned butter and toffee or matcha green tea.